A stunning arrangement of fresh flowers is just a few steps away. Here are our expert tricks. Floral designer Gaye Drummond perfected country garden-style arrangements in her hometown of Dedham, England, while decorating for parties, weddings, and other events. Now she lives in one of Savannah’s historic neighborhoods and creates fabulous designs out of her workroom. Lucky for us, she’s sharing her tricks and secrets to creating bunches of blooms that will brighten your own home. Use a plentiful amount of blossoms and greenery, and combine plant materials with different colors, textures, and shapes. Use fern fronds, ivy, moss, and eucalyptus to frame the flowers and to fill out arrangements. Look for blooms with unbruised leaves and buds that are just starting to open. Recut all stems, and stand them in a mixture of cool water and flower preservative until it’s time to arrange them. Balance the lushness of your arrangements with simple containers such as baskets, clay pots, glass vases, and iron urns. Insert the base of each form into a container, such as a lined wire basket. Use a glue gun to cover the upper ball and the top of the base with dried green moss. Cut the stems from the roses. With the glue gun, attach the rose heads to the lower ball. Glue small pieces of moss over any empty spots. 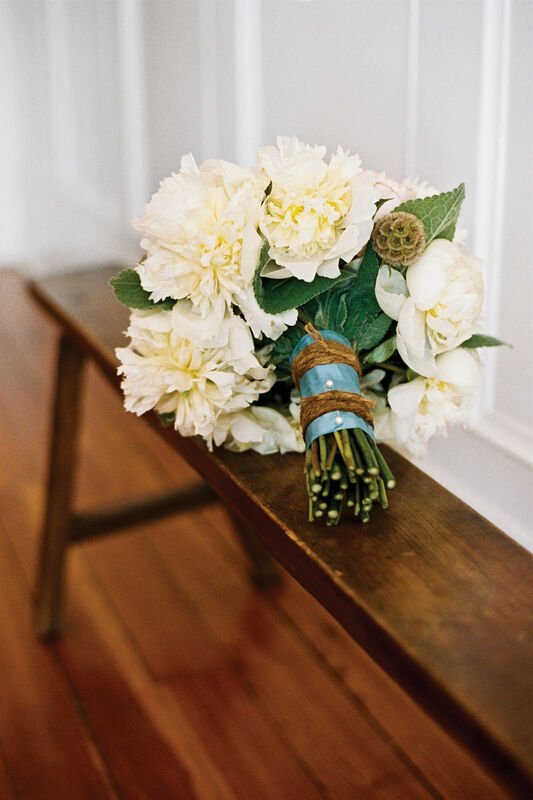 Unexpected light green blooms highlight the darker hues of this arrangement in a lined wire container. “Viburnum is the magic ingredient that makes it all come to life,” says Gaye. To make an arrangement like one pictured, fill the basket with florist foam saturated with a mixture of water and flower preservative. To support the stems, crisscross several pieces of florist tape over the foam, and press the ends of the tape onto the container. Create a framework by inserting eucalyptus at an angle, so that the stems appear to spring from the center of the florist foam. “The arrangement doesn’t have to be completely symmetrical. The look can change as you work on it,” says Gaye. Insert one type of flower at a time, and space the blooms at regular intervals. Place some blossoms, such as lilies, deep within the foliage of other flowers. Gaye says, “Try to make the arrangement about one and a half times the height of your container.” Add water as needed. A posy is a classic English hand-tied bouquet. Gaye uses long-stemmed flowers such as snapdragons, roses, tulips, and lisianthus and then adds eucalyptus and viburnum for various shades of green.